While most people are moving away from landline phones and replacing them with mobiles, there is still a place for the previous standard in our lives. 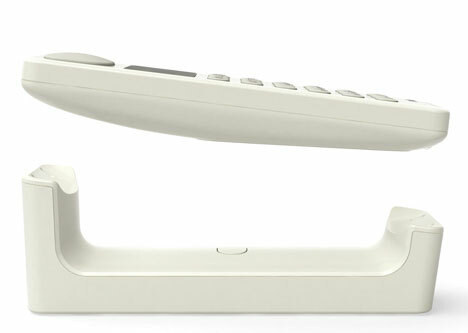 Designer Jasper Morrison and start-up company Punkt are betting on consumers still needing their landlines since they teamed up to create this deliciously simple cordless home phone that literally turns the old design upside down. There is not much difference between this design and any other cordless phone design – but the small differences are what makes this phone so desirable. Rather than facing the cradle (or base) like most phones, the display on the DP01 phone is always visible. This makes it possible for the phone’s owner to see who is calling without even needing to pick the phone up. Moreover, the buttons are always accessible, meaning that users can operate the phone’s functions while it’s still on the cradle. 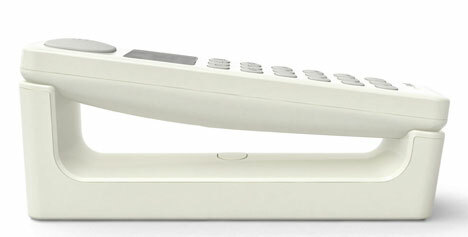 A magnetic component holds the handset in place on the cradle, even when it is in a vertical position. 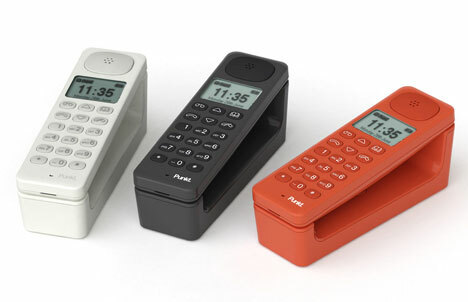 A sound artist worked with Morrison and Punkt to develop ten different ringtones for a number of different environments. The DP01 phone doesn’t represent a huge leap in telephone design, but it does show the designer’s willingness to re-think a design standard (earpiece and mouthpiece facing toward the cradle) that has been in place for almost a century. One simple change results in a phone that is not only easier to use, but looks downright stylish as well. See more in Phones & Mobile or under Gadgets. January, 2011.